These adorable advice for the mommy-to-be cards are a popular baby shower activity and become a beautiful keepsake. 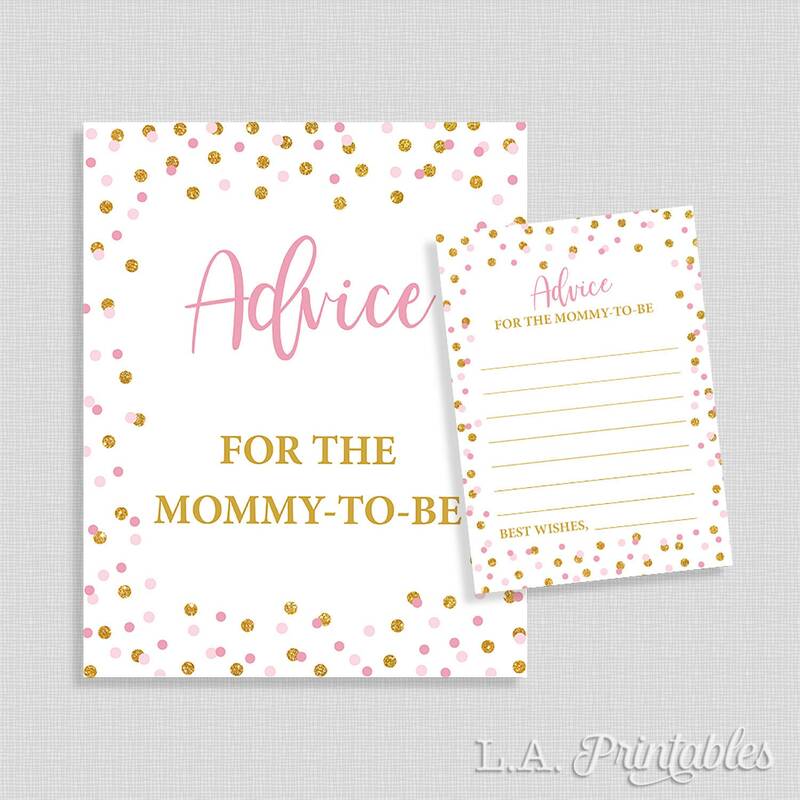 Advice Cards AND a Sign (JPG & PDF files). Each card measures 5x7 inches. Sign measures 8x10 inches.